Every Saturday afternoon, I go for a long run, and Phoebe bikes alongside me, and this is what she says to me the minute we hit the trail. “Ask me a question.” Which is really her way of saying: Ask me a question about a book I am currently reading, and I will summarize the plot for you while you run, which will distract you from the agony of exercising. Some of these summaries are quick, easily dispatched. 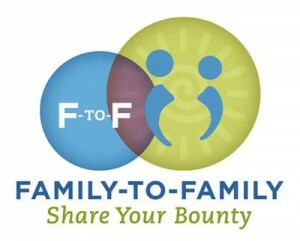 Family lives on prairie, endures terrible storms, long winters, and much suffering, but survives. Girl deals with embarrassing dental issues, gets braces, endures much teasing, but survives. Handsome man has superpowers, saves world. The past few weekends, though, things have gotten a little more involved. “Tell me about this Pseudonymous Bosch guy,” I say to Phoebe, as we set out. “What are those books about, exactly?” Phoebe pedals for a bit, thinking. “Hmmmm,” she says. “That’s hard.” “Try,” I say. 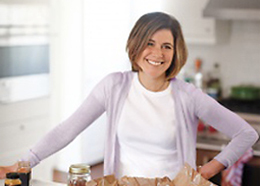 “Well,” she says, “they’re basically about the five senses: smell, sight, feel, hearing, and taste. There’s a lot of chocolate in the third book. And there’s this group of evil guys called the Midnight Sun, who are trying to figure out The Secret, which I think is about immortality. The main characters are named Cass and Max-Ernest and… it’s hard to explain.” She’s often still explaining when we stop, forty-five minutes later. As my readers well know, I am a secretive author, desperately afraid not just of the public spotlight but even the smallest penlight. (It’s the batteries—I have trouble replacing them in my remote location.) 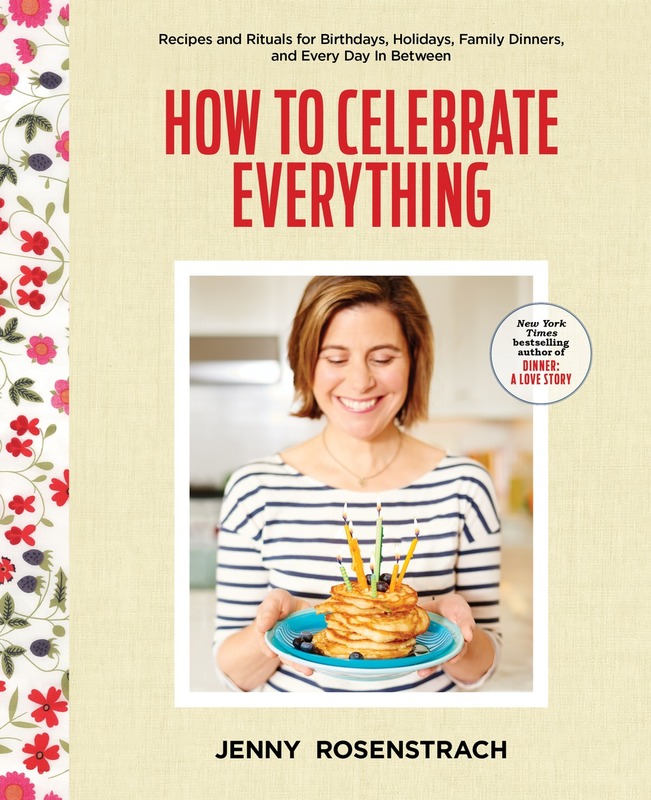 Nonetheless, I occasionally find myself making appearances at glamorous venues such as elementary school cafeterias and the backs of chain bookstores, most of which seem to close permanently a few days later. Why a phobic character such as myself should choose to expose himself like that is a question best left to my psychiatrist. (I mean, my publicist). I have, however, learned to come armed with certain provisions to protect myself against the prying public. They are, in no particular order: large scratch-proof sunglasses, emergency chocolate rations, a discrete handheld sound-effects machine (sirens, gunfire, broken glass, farts, etc. ), and book recommendations. Why book recommendations? Because What books do you recommend? is almost always the one hundredth question I get (the first ninety-nine being What is your real name?). Because my books are meant to be mysteries, I usually recommend mystery books. And because my audience is meant to be younger, I usually recommend adult mysteries. I figure somebody else has already recommended The Hardy Boys or Harriet the Spy, so instead I mention Edgar Allan Poe or Dashiell Hammet or Dorothy Sayers (the latter author being a particular favorite of mine when I was a kid). But I fear that you—the reader of this blog—are most likely an adult. Thus, out of sheer perversity, and also because it was requested, I am going to recommend a few children’s titles that have lately held my interest. One thing that is wonderful about young readers is that they still retain the power to be mystified. As an adult, I find that children’s books help restore my sense of mystery. Hopefully, these books will do that for you, too. And if you have an actual child by your side, all the better. This almost wordless book was one of my favorites when I was very young and I still love to look at it. 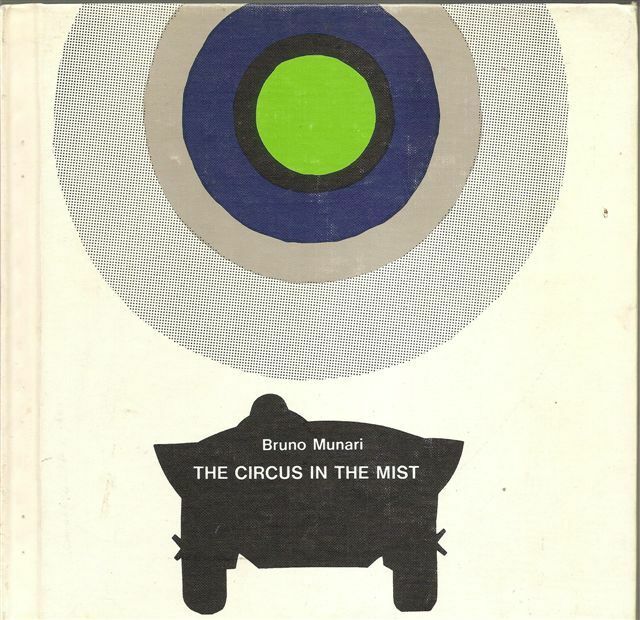 Written and illustrated—perhaps the best word is created—by the Italian designer and book-magician Bruno Munari, The Circus in the Mist takes the reader on a journey into a “mist,” which is represented by translucent vellum pages. 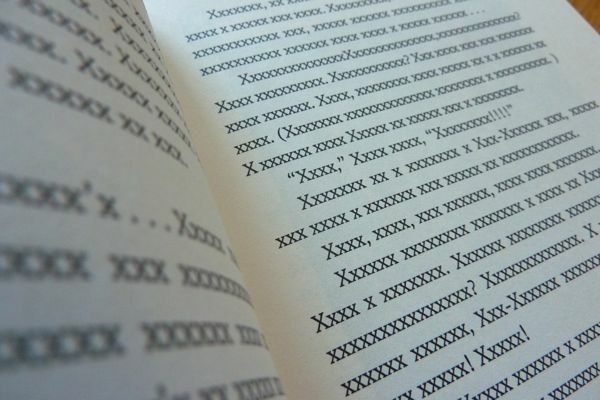 Spare yet playful, each page teases you into turning to the next. In the middle of the book, you are rewarded with a circus, and all its fun and familiar acts, but at the end you are returned to the mist, as if to say that the mysteriousness of the mist itself—not the circus it hides—is the true wonder. Soon this unique picture book will be very well-known because an anthology of stories inspired by it is going to be published, but when I discovered it by accident in a used bookstore I felt as if I’d stumbled on an artifact of a lost civilization. I don’t want to ruin the book for you by describing it in detail, but briefly: it consists of a series of strange and enigmatic drawings with provocative captions that are meant not to explain but rather to elicit explanation. In a sense, the reader is the author of the stories that the pictures tell. Alas, I did not read this one as a child, but a friend (whom I will not name for her own protection) gave me a copy a few years ago and I treasure it, not least because this particular copy is inscribed by the author—to somebody else! This diminutive picture book tells the story of a monster who is afraid of the Something—a mysterious creature that enters through his bedroom window at night. Who or what the Something is is the question that animates the book. As in all good mysteries, the answer is at once surprising and inevitable. Before there was a middle grade graphic novel series called Big Nate there was a series of illustrated early-reader chapter books called Nate the Great. 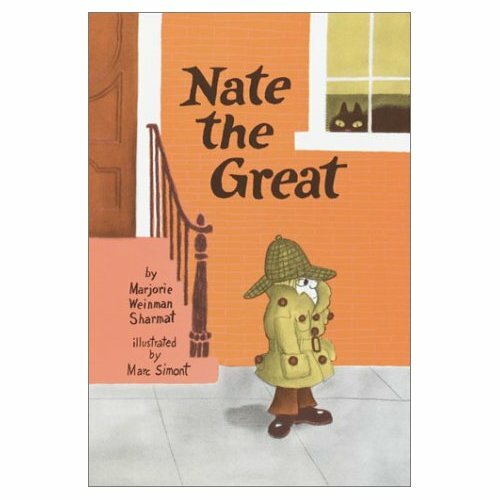 Sadly, I didn’t know about Nate the Great until the other day when, to my delight, somebody handed me the first Nate book. In the book, the eponymous kid detective endeavors to find his neighbor’s missing painting—this being a painting that the young neighbor herself painted, you understand. Fittingly, the key to resolving the mystery lies in knowing what color two particular colors make when they are mixed. I imagine this would be a perfect first chapter book for a budding young reader—or maybe a second, after Frog and Toad. My forthcoming book, the last in the Secret Series, has an Egyptian theme; so I read this 1967 middle grade novel very recently, looking for ideas to steal. 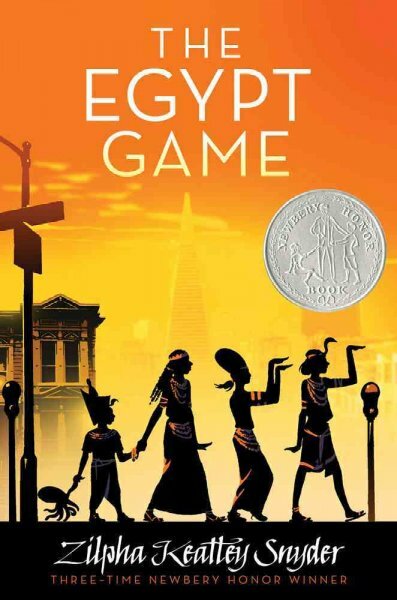 Like many Newbery books (of which this is a lesser-known example), The Egypt Game offers a combination of mystery and fantasy that is grounded in “realistic” family life. (If you suspect I have been studying Newbery winners hoping to discover a hidden formula, well, I’m going to take the Fifth on that.) A multicultural cast of Berkeley, California kids secretly band together to participate in exotic Ancient Egyptian rituals and solve a creepy neighborhood mystery. What fun! Something for you and your kid to read after your copies of A Wrinkle in Time and From the Mixed-up Files of Mrs. Basil E. Frankweiler are all worn out. Oh, I absolutely loved the Egypt Game as a kid – I think I actually did a book report on it! This is such a great list. Once my six-year-old discovered mysteries (A to Z mysteries) she discovered reading, so thank you for some more options. She will love these! my 9 yr old read Sweetness… last summer and LOVED it. just picked up the Egypt Game for her for this summer’s road trip. thanks! Oh how I love your book lists, you have such great book taste!! I adored ‘From the Mixed-up Files of Mrs. Basil E. Frankweiler’ when I was young! I can’t wait to get my hands on ‘The Egypt Game’ that looks amazing!! 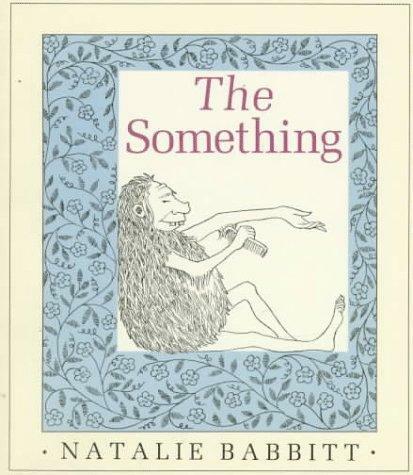 I adore Natalie Babbitt but haven’t seen that one, I’ll have to pounce on that as well. I am so glad I read this!! I stumbled across this blog just a few days ago and I’m in love. And to hear you recommend The Mysteries of Harris Burdick made me so excited!! I adored this book when I was a kid and I had completely forgotten about it until now…now I want to buy the inspired by short stories! Holy COW! Four of the books listed are in our traveling library, including The Name of This Book is Secret. Awesome suggestions. 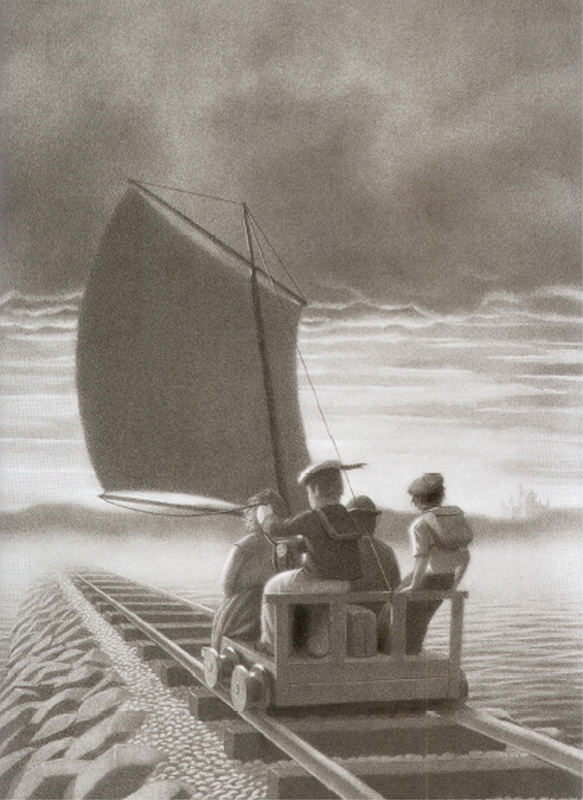 Harris Burdick is one of my ALL time favorites. 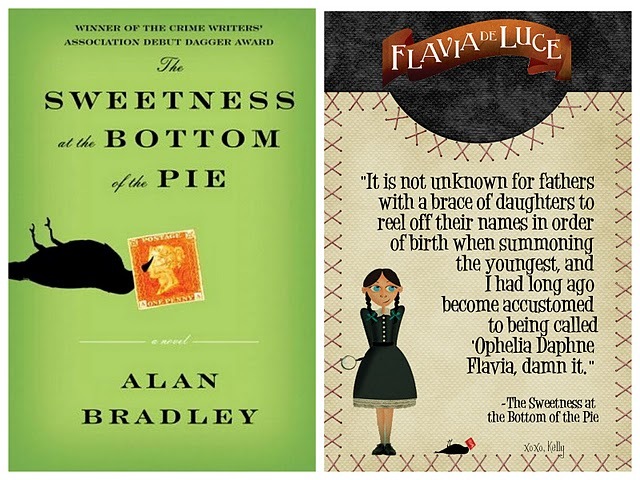 And I love love love Flavia de Luce. It hadn’t occurred to me to give that to my tween, but you know? I bet he would like it. It is one of my favorite series to share! It’s so fun to see a book recommendation list line up so closely with my own library! That rarely happens with my shelves lined with Agatha Christie, Dorothy Sayers, Ngaio Marsh and Marjory Allingham. Keep those summer reading lists coming! I can’t believe who you are getting to make these lists. It’s such a delight to open up the post and see our favorite authors making suggestions. Thanks! THANK YOU for posting The Mysteries of Harris Burdick – someone showed me this book when I was younger, and I’ve recently been trying to remember what it was without any luck! So thank you, Pseudonymous Bosch for posting about it, and especially thank you to DALS for these wonderful reading posts! i am going to read sweetness… and i am a full fledged grown up. 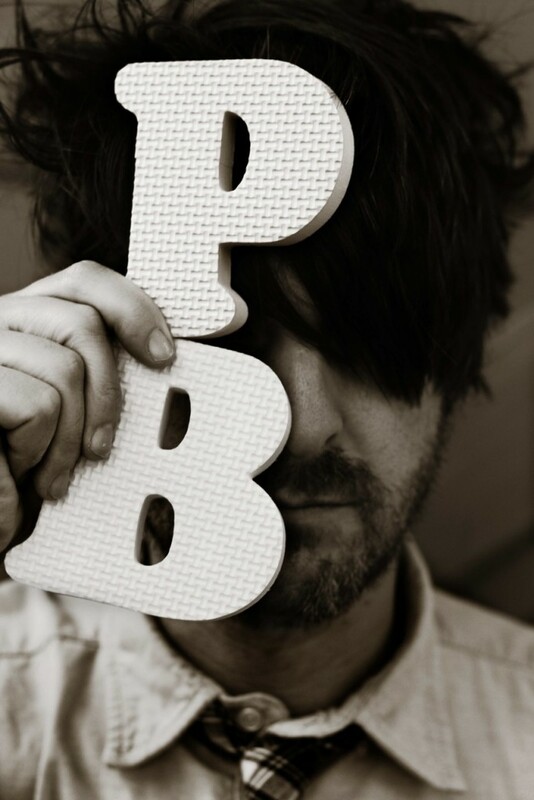 thanks, PB. The Mysterious Benedict Society would be great reads for them along with the Westing Game! I know they are old books but I could never stop reading the Box Car Children as a little girl either.